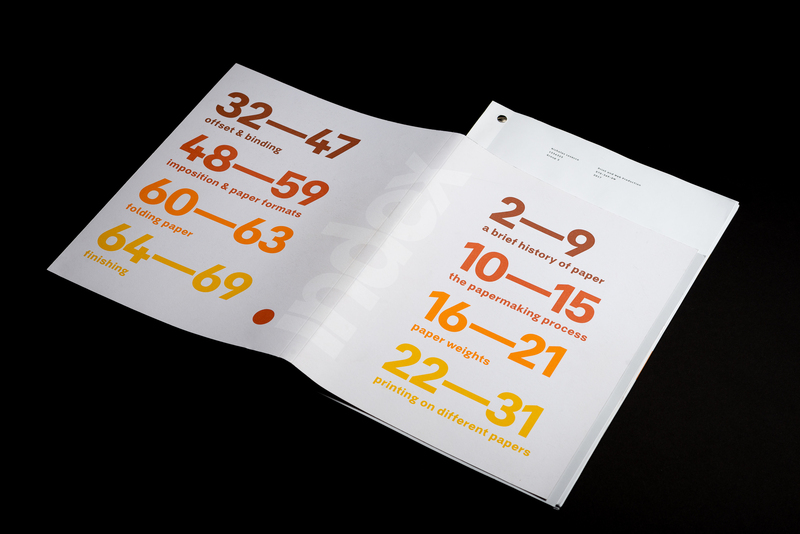 Index Indexis a reference book about printing and printmaking. 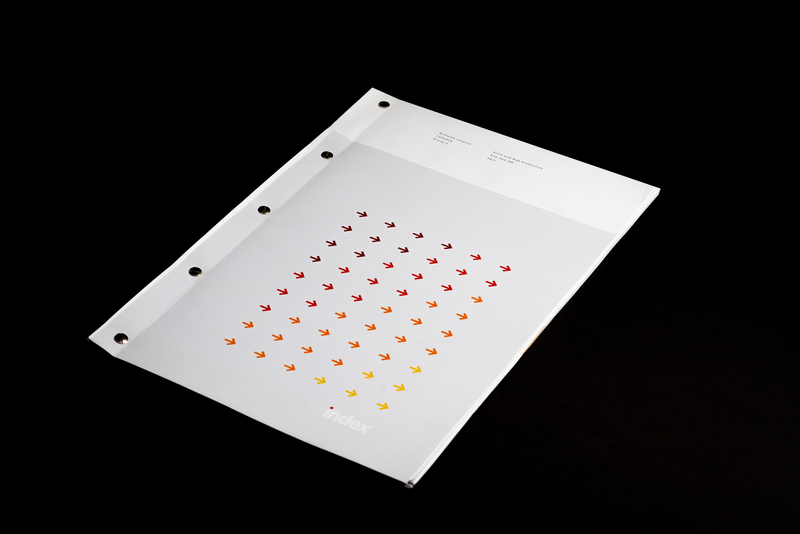 Aimed at designers interested in physical motives, this book is quite large. Removable, the cover acts as a sleeve around the book. This means while reading, the reader can remove the cover and use the index without having to turn the large, bulky pages back to the beginning of the book. 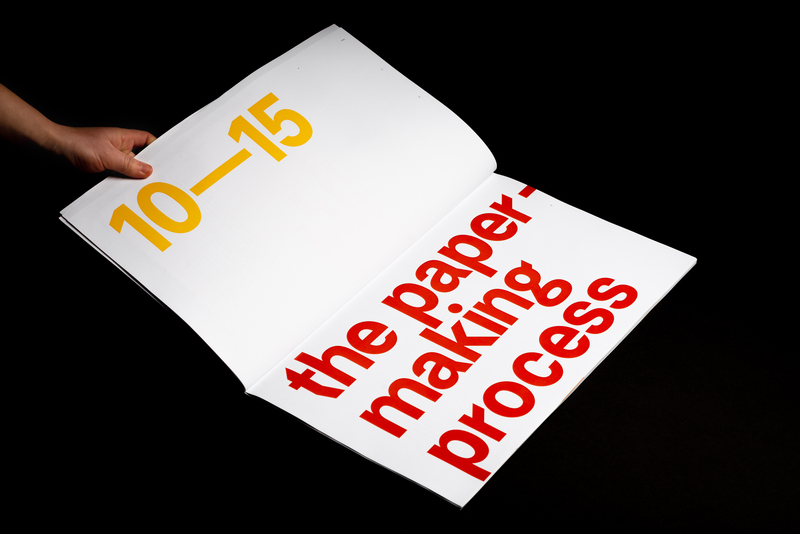 BC Falster Grotesk by Briefcase Type and Base Nine by Emigre were used in tandem. 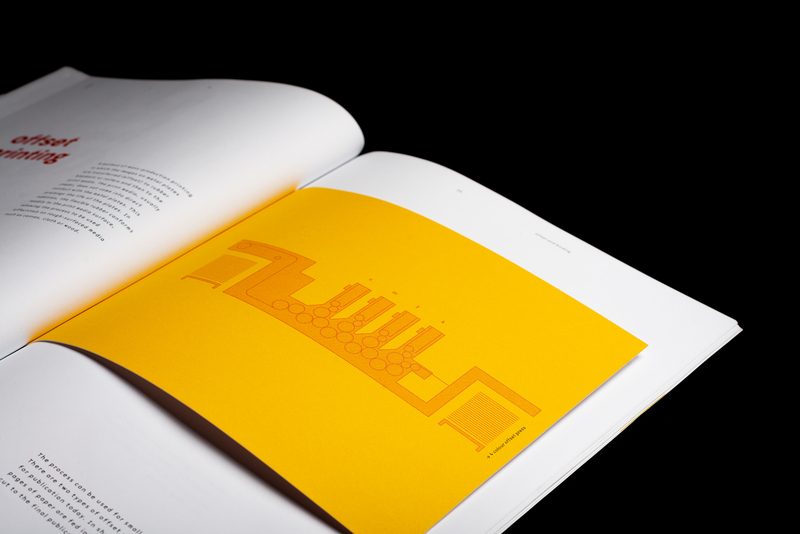 Graphics and diagrams in the book were drawn with simple line drawings and filled in with repeated, thinner lines. 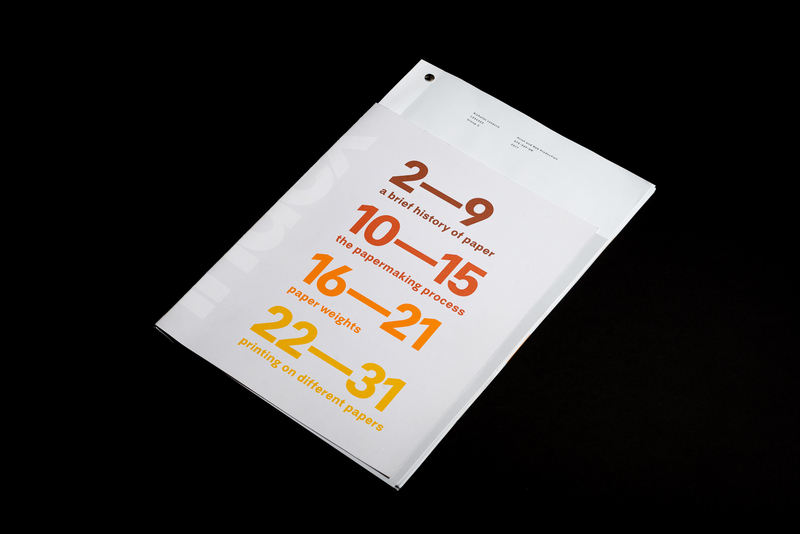 Each spread measures 22" x 11". Smaller sub-pages are included to break up the reading experience and hide/show information and graphics. 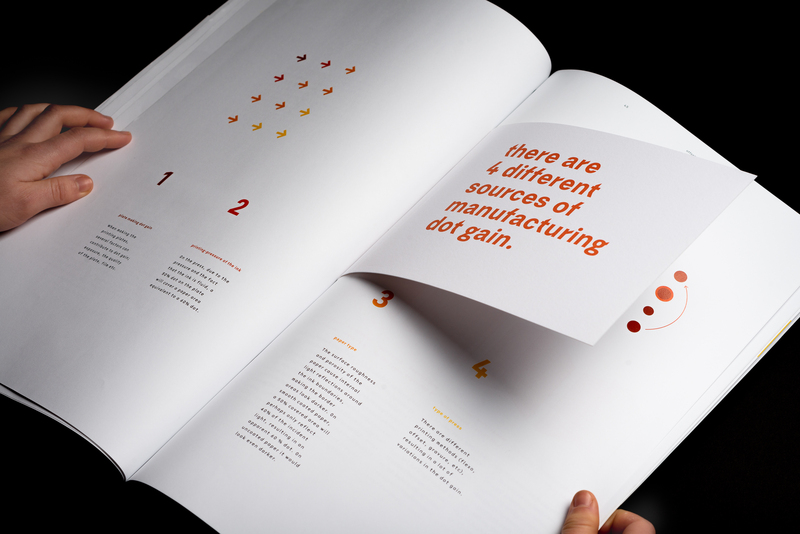 These pages are printed on a heavy, 2-ply Mayfair paper.